Students have the option to enroll in beginning band in 6th grade as part of the Instrumental Music program. Throughout the year, students will learn the basics of playing the instrument of their choice. Therefore, no previous experience is necessary. 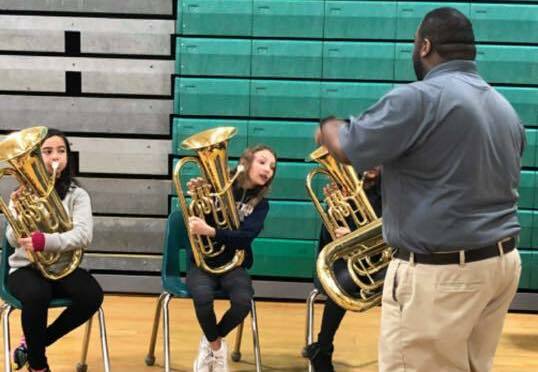 Instrumental music continues as part of the Middle School and High School music programs, but 6th grade band classes are specifically designed for beginners, making 6th grade the best time to enroll in Instrumental Music. Students meet for class twice a week for 35 minutes each class. Students meet in woodwind class and brass class. Percussionists are selected from the current woodwind and brass students, near the end of the school year to begin in 7th grade band. Time commitment for band outside of the school day consists of home practice and two evening concerts, one in winter and one in spring. Practicing at home is vital to success on a musical instrument to help reading skills and to reinforce the playing techniques taught in class. As part of the course, students have access to Smartmusic, which can be accessed on any computer or tablet. Smart Music is a great way to make practicing at home fun! Band Fair is typically the first Saturday in April. Information is sent home to all current 5th grade students at Mason. Band Fair is an opportunity for 5th grade students to try all of the instruments. Students and parents receive feedback on which instruments might be a good fit to play in 6th grade band. Students have the opportunity to try as many instruments as they like! The band directors will also discuss rental recommendations at Band Fair. You may also contact them directly with specific questions. All band students will need to have an instrument and method book by the second week of school. Sixth grade band students have the opportunity to participate in an additional group that meets after school during the second semester. This group plays more challenging music, with help from our talented high school band students. 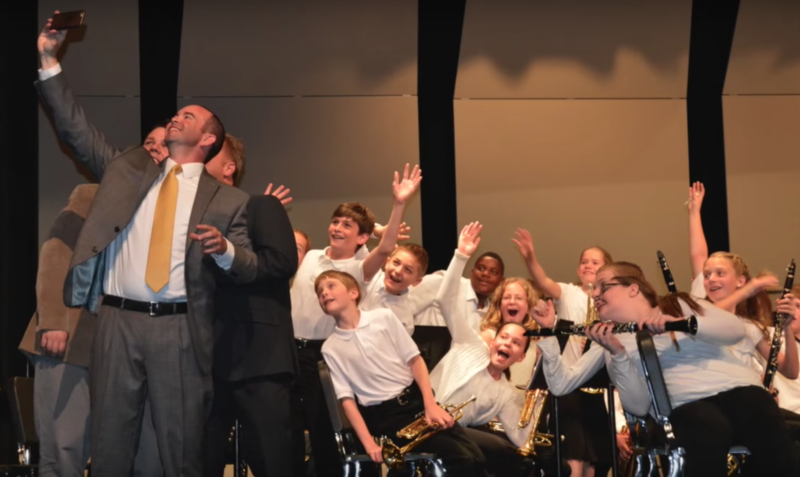 The After School Band gets to perform on a high school band concert every spring!